Nine years after the outbreak of the global financial crisis, the banking industry is facing numerous challenges. In addition to the increasing prudential regulation and the central bank’s zero interest-rate policy, banks have to deal with cost pressure and widespread mistrust of their customers. In this difficult market environment, the progressive digitalisation wave hits the banking landscape with full force. Especially retail banking is facing a variety of new data-based financial products and services, as well as new markets players and changing customer behaviour. Already in 2001, an important scientific economist dealt the leading question of “do banks have a future” in his scientific study, probably without being aware of the extent of the potential change in the banking industry. However, he questioned the role of the banks in relation to the emerging “e-ages” because it was obvious that other financial intermediaries began to interfere the traditional business model. Nowadays, it is less about other banks and more about new technology-based providers – also known as FinTech businesses – pushing into the banking market. They provide digital solutions to customers’ financial requirements with the ambitious objective target to be “more accurate, more intelligent, easier to handle and cheaper”. This offer leads along the entire value-added chain of the current retail banking market: the deployment and development of digital payment and information systems as well as financing and investment solutions. Although standardised processes and services have been digitalised over time, a rethinking of the main revenue centres has never really taken place; rather, the focus has been on pure cost reduction within the value-added chain. Accordingly, the bank branches represent insurmountable costs, whose right to exist is justified – for example – by a questionable customer frequency of the ATM usage. Meanwhile, Fin Tech businesses want to prove that a permanent existence is possible without a broad branch network and once again subjects the classical branch model to renegotiation. Compared to other economic areas, the banking industry has long underestimated the disruptive potential of these new market players. The dramatic effects can be seen in the fate of several previously-unchallenged world market leaders who have failed to adapt their successful business model to the digitalisation trends. It would not be the first industry to be reformed by digitalisation: the former pioneer company Kodak could not keep up with cheaper digital photo technology, Nokia was no longer capable of changing speed in the mobile phone sector, while music and video shops have disappeared since people download their contents at home or with mobile devices on the road. In this context, established banks feel the competitive constraints of companies, which are partly new to the industry. Suppliers like PayPal or Google Wallet try to dispute the predominance in the payment system and increase their market shares to the detriment of the conventional banking industry. Frequently-cited Microsoft founder Bill Gates already recognised the novelty potential in 1994 and got to the heart of the core problem with his statement that “banking is necessary, banks are not.” Banks must ask themselves the question of their value for the customer. The initial position of successful digital companies is always the question of the problem: What purpose do banks still fulfil so that their customers experience a genuine added value? While Bill Gates was smiled at that time, it is nowadays obvious that this provocatively meant statement gained importance with the advancement of technological innovation, the digitalisation of the world and the rise of FinTech. Therefore, the major goal of the following thesis is to find a concise and fundamental conclusion to the issue of how retail banking can benefit from new market participants to create a sustainable and successful business model. 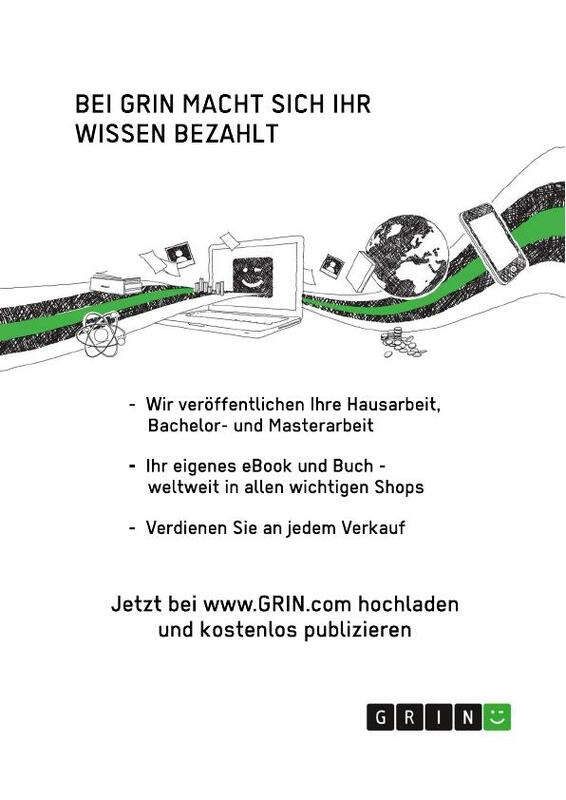 This Bachelor thesis aims to briefly describe the rise of the FinTech industry and outline its impact on selected business segments of the German retail banking market.  For this purpose, drivers are defined that influence the environmental factors. A number of new market participants and their business models will be presented, as well as their effects on the established structures of retail banks. However, the focus is not on the detailed analysis of the technical infrastructure; rather, this work elaborates threats and opportunities for the German retail banking industry. Ultimately, this paper’s aim is to examine the future strategic and operational success factors for the sustainable competitiveness of the retail banking and emphasise different recommendations for action to be prepared for the rise of FinTech. First, the introduction emphasises the key problem to deduce the main goal of this paper. To answer the overarching question, the following chapter itemises the relevant terminologies and conceptual foundations, starting with a brief overview of the German retail banking industry. The next two sub-chapters describe the essentials of the bank´s value-creation chain before discussing the impact of digitalisation and changing environmental factors. To complete the theoretical background information of this thesis, the chapter will conclude with a definition of the term “FinTech”. Furthermore, chapter 2.2 will introduce relevant FinTech segments that are considered in the basic analysis. The third chapter deals with the methodology of analysis, which first underlines the reason for the instrument selection of the analysis in chapter 4. This chapter also elucidates the necessity of the aspired analysis since it is the fundamental for the recommended actions. Chapter 4 analyses the current German FinTech market based upon the theoretical background. Based upon a general SWOT analysis, the paper will then describe and examine relevant business models referring to the three main units: payment transactions, investment and lending business. It should provide an insight where the future sustainability of retail banks is questioned by the disruptive potential of new technologies. Based upon these perceptions, the fifth chapter presents three response strategies for the retail banking strategy to counter the rise of FinTech and benefit from their innovative banking solutions. The last chapter conclusively explains the significance of the results for the German banking landscape and finally reveals the limitations of the work as well as further prospects. In the literature, the development of retail banking business in the German banking industry is partly reflected in the first-time offering of small loans to private clients by Commerzbank, Deutsche Bank and Dresdner Bank in 1959. Therefore, the public demand of former German chancellor Ludwig Ehrhard to issue lendings to private customers on May 2, 1959 is today regarded as the historical cornerstone for the opening of the banking sector across the broad population. First of all, the private customer business is to be separated from the corporate banking. Subsequently, the system is further differentiated by their customers, as corporate banking includes medium-sized companies, large and multinational companies. Self-employed customers and small businesses are allocated to the private customer business. The private customer business is typically further distinguished from the business with wealthy customers and the mass-customer business (retail banking) by means of three main criteria: household income, total and monetary assets. While clients in corporate and private banking respectively wealth management are served with individualised financial services depending on their individual requirements, retail customers usually experience standardised (mass-produced) financial goods and services with minor need of explanation. Given that the influence of new digital market players hits particularly the less knowledge-intensive and easily-standardised financial services, this paper will concentrate on the business unit retail banking in the following. In the golden age before the financial crisis, the retail business became less important to the executive boards of many banks as the corporate and investment banking was responsible for the largest contribution to earnings. Due to altered circumstances and deeply restrictive regulatory requirements after the crises, universal banks returned to the reliable revenue model with retail customers and learned to appreciate the lower but more constant earning opportunities. Recently it developed to an essential and strategic business area as it offers reasonable margins and a steady revenue stream with moderate capital expenditure. This statement can be proved – for instance – by Deutsche Bank´s change of strategy, as they do not want to dispose the Postbank but fully integrate the business into the group to increase further synergy effects in retail banking. For the purpose of this paper retail banking is defined as the banking business with private and smaller business customers and freelancers. It is characterised by a high number of customer connections, high repeat rates of identical customer processes, as well as a high number of annual services or sold products. However nominal returns per customer can be low since not every customer in this segment is automatically profitable and retail banking has a comparatively low potential increase in sales of products and a relatively high fixed cost block. The high fixed costs can be mainly attributed to the staff costs and the branch network, but they have been strongly countered in recent years. For example, the figure of branches in Germany has fallen from 46.444 to 36.005 in the period between 2005 and 2015. In addition, a survey among decision makers in the banking world showed that a further reduction of the branch network by 20% until 2025 is unavoidable. Regarding figure 1 retail banks improved their business success, but important key figures such as cost efficiency and profitability are still behind pre-crisis levels. However, not only the fixed costs lead to the aforementioned developments on the banking market; moreover, further cost drivers include the on-going low interest rate and changes in law, such as the amendment of the Banking Act, the Securities Trading Act or the requirement of higher mandatory capital. In addition to the new regulatory and monetary requirements the retail banks are facing numerous other challenges. These include above all the increased competitive pressure from other suppliers or new market participants and rapid technological progress. In this context, the changed customer behaviour must be examined more closely to develop a future-oriented and competitive strategy. The general trends suggest that retail banking will change more strongly in the coming years than before. Serious structural changes, innovative distribution channels and new means of communication could indicate a new era. For this reason, the next two chapters deal initially with the current value-creation process of retail banks and further discuss the changes in the general framework due to digitalisation. Regarding the product structure retail banking is originally divided into the deposit-taking business and the lending business. Furthermore, they provide financial services such as payment transactions or the mediation of investment, insurance and building society products. Due to the complexity and extent of this work the focus will be on the following selection of banking services: payments transactions, financing services and investment consultancy. These are briefly explained to ensure a basic understanding. Payment services have once again become the focus business since retail banks are looking for solid sources of income and funding. They represent one of the key businesses in retail banking. This includes the maintenance of credit balances and the processing of cashless payments, which are usually carried out via customers’ current accounts. Banks benefit from payment transactions in several ways: first, they provide constant on-going income in the form of transaction or account management fees; and second, they help to attract deposits and thus generate income from interest. In addition, both channels are positively correlated as deposits and payments are often used as an anchor product and strengthen the bank´s claim to be main bank. Therefore, they try to enhance the customer relationship and generate an additional potential of cross-selling. Germany is the country with the second largest cashless payment transactions in the EU. According to a survey by the European Central Bank in 2015, the volume amounted to almost 19 billion transactions with a transaction volume of over 56 billion euro. The classic forms of cashless payments include the bank transfer, direct debit system, cheques and card payments. Card payments, especially known as debit or credit card payments, allow the payment at the point of sale. The open invoices are either billed directly or delayed through the current account using the direct debit system. There are also credit card providers which offer their customers different kinds of instalments with what they generate another source of income. The reliability of payment transactions in banks` business can contribute to the robustness of individual banks and the stability of the banking business as a whole. Thus, this paper will have a strong focus on the impacts of new technologies in the area of payment transactions. Another major task of retail banks is to receive funds from their customers and pay conversely interests on them in the form of sight and saving deposits. The financing service comprises the provision of overdraft facilities and of financing private consumption, real estate or small investments of companies. Thus, the banks manage their customer´s money and allocate it to applicants for a credit. The bundling of saving deposits into smaller and larger loans is generally called lot size transformation. Additionally, the banks accomplish the transformation of periods and risks. Nevertheless, they assume the credit default risks and they are liable with equity resources, which is regulated by the European legislature via Basel I-III. This is why credit claims can also be scrutinised and sold to investors to minimise risks. The interest rate differential between the retail deposit rate and the loan interest rate allegorise the main source of income. Even though it became popular for some retail banks to arrange new lending to other banks to receive commission income and ease the bank´s equity. The following analysis will further concentrate on the commission-based business, especially the investment consultancy, which currently makes up a large proportion in the mixture of bank earnings. Particularly in the distribution of security investment retail banks collect consultation fees, subscription fees as well as volume dependent offering and trail commissions. Besides the competition of new market players and new technology-based offers, this business is highly affected by regulatory challenges. The EU has launched the second “Markets in Financial Instruments Directive” to increase investor protection and improve the efficiency and openness of European capital markets. The so-called MiFID II will impact the business on both the cost and the income side. More than ever before it seems inevitable to review thoroughly the business model and slim down consultancy and organisational processes. Due to the topic of this work, the following determinants of digitalisation are only considered in the context of retail banking. Likewise, they represent the reasons why new companies are entering the traditional business areas of this sector. The actuality of the subject matter requires the existence of a variety of definitions for the terminology “digitalisation”, thus making establishing a general definition difficult. As a central trend, digitalisation describes the depiction of our environment in electronic form that can have an impact on all situations in life. This leads to a strong network of information and has a lasting impact on our societal and economic cohabitation. Regarding the topic of this work, digitalisation comprises the consistent use of all technological possibilities to create new customer experiences, extended business models and an efficiency enhancement in the process handling. More specifically, regarding banking business the term stands for a site- and time-independent use of all technical devices to retrieve fast information and conduct lean banking without being fully dependent on branches, opening hours and bank consultants. Digitalisation is to connect the online world and the offline world. The basis for a resounding digitalisation is the ubiquitous availability of the necessary technological infrastructure, namely broadband internet. At the end of 2016, more than 98% of all German households had access to the internet. The figure of active internet users has risen by 2 million to 58 million, equivalent to 84% of the population and an increase of four percentage points. While almost every person between 14 to 49 years is online, as well as 82% of the 50-to 69-year-olds, the internet is used by less than half of the people in their seventies. Due to the constant further technological progress and the advancing demographic change, the described dynamics will continue to increase and mobile devices can be considered as the key driver. For the first time in 2016, the smartphone is the most used device with 66% and an increase of 14-percentage points, even before the laptop with 57%. Mobile devices combine many areas of life affected by digital change. Communication plays a central role, especially in the information procurement on services and products and social networks are increasingly starting to replace the established service providers . Meanwhile, the mobile devices have become unconceivable as an important distribution channel. Most financial providers now run their own mobile application to sell products and let customers manage their accounts and deposits of securities. The legitimation and identification via mobile devices is possible due to the development of fingerprint identification or the use of high-quality cameras and it is no longer obligatory linked to the classic stationary distribution channel. In addition, further business areas are digitised and opened to the broad market, which had previously been withheld from traditional banks, by developments such as the “Near-Field-Communication-Technology”. NFC describes the basic technology for digital, contactless payments at the POS. Thus, Non-Banks can handle payment transactions away from the established channels for customers who have mobile devices. Even so, the development of high-resolution video functions and real-time communication via chat functions provide another basis for changed distribution and communication channels to the customer. The described developments are amplified by demographic factors. People who were born after 1985 are called “Generation Y” or “Digital Natives”. Digital Natives have grown up with the versatile possibilities of computers and the World Wide Web. The handling and operation of laptops, smartphones or tablet was put into the cradle. In contrast to previous generations, there is no clear separation between the real and the virtual world. Currently, about 35% of the German population belongs to this sociodemographic group. Digital Natives have no reservations about the on-going digitalisation trend being addressed by new innovations. Due to the demographic change, the Generation 50-plus will be soon the largest class of German population, becoming more open-minded towards the increasing usage of digital media. Thus, there will be hardly a group with our society that is not familiar with digital technology. In summary, advancing digitalisation and the changing environmental factors have led to new market players, which are addressing the customer with innovative technology and new service offerings. Thus, the next chapter deals with the new financial technology, better known as FinTech. FinTech is a comparably young portmanteau word comprising the two words “Financial Services” and “Technology”. This has already defined what is involved, namely a collective term for financial services that are provided with the intensive use of information technology. The term is also used for companies that develop and offer these services: start-ups, which are currently introducing their banking solutions or relatively young companies that have already established themselves in the market. Although no harmonised, scientific definition exists at present, it is possible to derive a clear understanding of FinTech from the motivation of these companies. The offer is generally internet-based and application-oriented. They are aiming to increase customer benefit through user-friendliness, cost efficiency, transparency and automation of services, reflecting strong potential that traditional banks have underestimated for a long time. 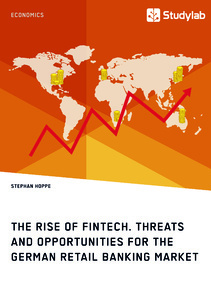 The FinTech market has been growing rapidly, not only worldwide but also in Germany. Therefore, the volume of investments in FinTech start-ups has increased from 36 million to over 276 million euro between 2012 and 2015. The total transactions volume exceeds 93 billion euro in 2016 and it is expected to rise to almost 150 billion euro in 2021. In this context, a total of 433 companies were identified with a business activity in Germany. Essentially, FinTechs focus on individual links in the described value chain. According to their business models they can be essentially divided into four major segments: payment transactions, financing, asset management services and other miscellaneous services. This categorisation and a detailed description of the sub-segments are illustrated in the figure above. The fourth column covers FinTechs with other services: insurance sector, comparison portals or the provision of IT infrastructure. These segments are not taken into account in the following analysis since they have lower touch points with the core topic of retail banking. This work focuses on selected subareas, which are currently most visible and have the highest impact on retail banking. This mainly includes payment transactions, as seen in figure 2, as they have low entry barriers and an enormous number of similar transactions. The described mobile payment solutions fall into this segment, as well as the providers of online payments and e-wallets. An e-wallet allows the user to store credit on an electronic platform and use it for the purchase of goods and services on the internet such as PayPal. Other FinTechs in this sub-segment offer the transfer of money between two individuals without any classical financial intermediary, which is called peer-to-peer transfer. The money is often transferred in real time and thus cheaper and faster for the customer than in the classic banking business. The “financing” segment contains FinTechs, which provides loans for private clients or companies. The segment is based upon the involvement of numerous supporters (crowds) and can be further distinguished into crowd-funding, crowd-investing and crowd-lending. A detailed description is provided in chapter 4.4.1. The asset management service includes FinTechs, which offer advice, investment and management of financial assets as well as the aggregated presentation of personal financial ratios. In this segment, Robo advisory plays a predominate role. Robo advisers provide portfolio management and investment advice with minimal human intervention based upon mathematical algorithms, which are using passive investment and diversification strategies. The German Federal Financial Supervisory Authority differentiates between an “automated investment advice”, which means that a onetime investment consultancy is given and “automated financial portfolio management”, in which investment recommendations are made consistently. Social Trading is a form of investment in which investors, so-called followers, are able to discuss and reproduce the investment strategies and portfolios of other members of a social network. The intent is to let individual investors benefit from the collective knowledge of many users. Depending on the business model of such a social trading platform, spreads, order costs or percentage fees from the invested amount have to be paid occasionally by the customer. Within the subarea “Investment and Banking”, this paper will further describe the business of deposit intermediaries in the interaction between the low interest rate and the retail banking industry. They act as a broker and transfer cash and term deposits to banks in other EU countries. Nevertheless, they offer the opening and running of the accounts on a German website. Regarding the standardised security mechanisms of the EU wide deposit guarantee schemes, German retail investors can use interest rate advantages from other countries in this business model. Cf. Bain & Company, Retail Banking, 2012, pp. 4-5. Bossone, B., Banking, 2001, p. 2239. Cf. Bossone, B., Banking, 2001, p. 2286. Short form: FinTech, cf. Chapter 2.2. Tiberius, V., Rasche, C., FinTech, 2016, p.1. Cf. Bain & Company, Retail Banking, 2016, p. 6. Deloitte, Bill Gates, 2016, no page number. Cf. Van Hooven, E., Retail Banking, 1998, p. 5 f.
 Cf. Büschgen, H., Banking, 2006, p. 522. The business segment is called Private Banking or Wealth Management. Cf. Messerschmidt, Ch. et al., Retail Banking, 2010, p. 33; Swoboda, U., Retail Banking, 2004, p. 167. Cf. Deutsche Bank Research, FinTech, 2014, p. 6 f.
 Cf. Hirtle, B. J., Stiroh, K.J., Banking, 2007, p. 1102 f.
 Cf. Manager Magazin, Deutsche Bank Strategy, 2017, no page number. Cf. Messerschmidt, Ch. et al., Retail Banking, 2010, p. 33. Cf. Statista, Retail Banking, 2017a, no page number. Cf. Die Bank, Banking, 2017, no page number. Cf. A.T. Kearney, Retail Banking, 2016, p. 4 f.
 Cf. Bartmann, D. et al., Banking, 2011, p. 24. Cf. Messerschmidt, Ch. et al., Retail Banking, 2010, p. 30. Cf. Brost, H., Faust, M., Banking, 2007, p. 15. Cf. Hartmann, M., E-Payment, 2006, p. 10. Cf. Deutsche Bank Research, E-Payments, 2013, p. 4. Cf. Statista, Payment Services ,2016b / 2016c, no page number. In the following also referred to as “POS“. Cf. Hasan, I., et al., E-Payments, 2009, p. 22 ff. Cf. Bundesbank, Banking, 2017, no page number. Basel I-III are global frameworks on banking regulations issued by Basel Committee on Banking Supervision, Paul, S., Banking Regulation, 2015, pp. 8-10. Cf. Cf. Bitz, M., Stark, G., Payments, 2015, p. 19 ff. Cf. Kan, Jens, Von Bohlen, A., Investments, 2008, p.182 f.
 In the following also referred to as “MiFID”. Cf. Lindmeyer, K., Dietz, H.-U., MiFID II, 2015, p. 49 f.
 Cf. Eistert, T., Pratz, A., Retail Banking, 2014, p. 27. Cf. Vater, D. et al., Retail Banking, 2012, p.6 ff. Cf. Statista, Technology, 2017, no page number; ARD/ZDF Onlinestudie, Technology, 2017, no page number. Cf. Deutsche Bank AG, Mobile Devices, 2017, no page number. In the following also referred to as „NFC“. Non-bank is an institution or company that provides banking services, e.g. lending money, but does not have the legal status of a bank, cf. Springer Gabler Verlag, Non-Banks, 2017, no page numer. Cf. Stahl, E., Weinfurtner, S., NFC, 2014, p. 18 ff. Cf. Mangold, G., Faulds, D., Social Media, 2009, p. 358. Cf. Bolton, R., et al., Demography, 2013, p. 1. Cf. Bennet S., et al, Demography, 2008, p.776 f.
 Cf. Jhoon, K., FinTech, 2015, p. 359 f.
 Cf. Mackenzie, A., FinTech, 2015, pp. 50-53. Cf. Statista, FinTech, 2016, no page number. Cf. Statista, FinTech, 2017, no page number. Data based on end of 2016: The number is subject to relatively high fluctuation rate, cf. Bundesfinanzministerium, FinTech, 2016, p. 2. Cf. McKinsey& Company, FinTech, 2016, p. 3. Cf. Merrit, C., Mobile Transfers, 2010, p. 3 ff. Cf. European Banking Authority, Robo Advisory, 2015, p. 12 f.
 In the follwing also referred to as „BaFin“. Cf. BaFin, Robo Advisory, 2016a, no page number; BaFin, Robo Advisory, 2016b, no page number. Cf. Pentland, A., Social Trading, 2013, pp. 80-86.